Easy to fit, great for quickness to put car seat in annd out of the car. Excellent product easy to install love the way the attachments for isofix the floor pole and the car seat base go from red to green to show it is installed correctly. By far this makes car trips less stressful. Brilliant to make sure you don’t wake up a sleeping newborn. Car seat can be clipped and unclipped as easy as 123. Makes those first few months stress free when going out. Wouldn’t be without this product. Makes getting the car seat in and out so quick and easy. The design is great as has green and red system so you know it is fixed in right. We found fixing the base in a bit fiddly but once it was in wasn’t a problem. It’s quite small too so fits into our Nissan perfect. Reasonably priced when compared to others on the market. The product was a life saver. And made us feel more at ease when putting our son into the car. It was heavy when attempting to put it in the car but once it is is there was no need to remove it. Made our lives so much easier!! We've found this base invaluable. It's easy to fit to the isofix points in the car, making it quick and easy to switch between cars when needed. The car seat clips in and out really easily. The release mechanism can be done one handed which is very useful with a baby in tow. 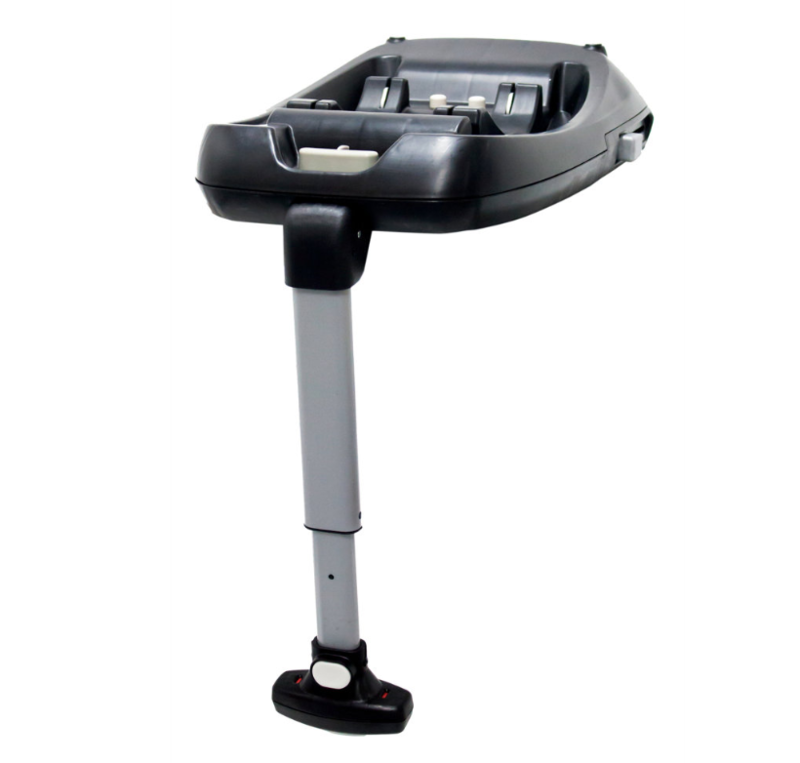 We are very happy with our ISOFIX base from Cosatto. It’s easy to install, simple to clip car seat in to and also to remove. It feels sturdy and therefore safe. We trust the brand and the product. The price is quite high, however there is a warranty for peace of mind and also sales at various times too. So easy to get the car seat in and out of and just quicker and more effective. So much safer than using a seat belt and quicker and can be transferred easily if needed to be used in a different car. It doesn't allow the car seat to wobble around when driving and is easy to learn how to get the seat in and out. Easy to fit and secure makes taking baby in and out of car easier! This product has made my life so much easier. As i am disabled and have arthritis that effects all my left side, not having to mess about hooking and unhooking seatbelt straps on the seat makes it so much easier. The only bugbare i have with it is trying to press both switches/buttons with one hand while pulling the carseat off with the other is difficult for me (mainly because of disability) but still way better for me than the seatbelt. Does the job. Not really value for money as you can buy them second hand on the fb selling sites. If you can get it as part of a package deal then you will be getting better value for money! This makes life so much easier, getting in and out of the car takes seconds no faffing about with belts in the rain. Just a simple click and you’re away. I honestly would reccomend one to everyone! This was absolutely brilliant when our youngest came along. Especially with older children, it saved so much time. We also felt more reassured of babies safety rather than frequently checking that babies car seat away strapped in properly. Would highly recommend if you can afford it. We missed it thoroughly when we transitioned to a bigger car seat! Once again, we used Cosatto’s 4 year guarantee in case anything went wrong. This was a must for our mini as it was easier than a belt. Yet they are so expensive, especially if you need one for each car. 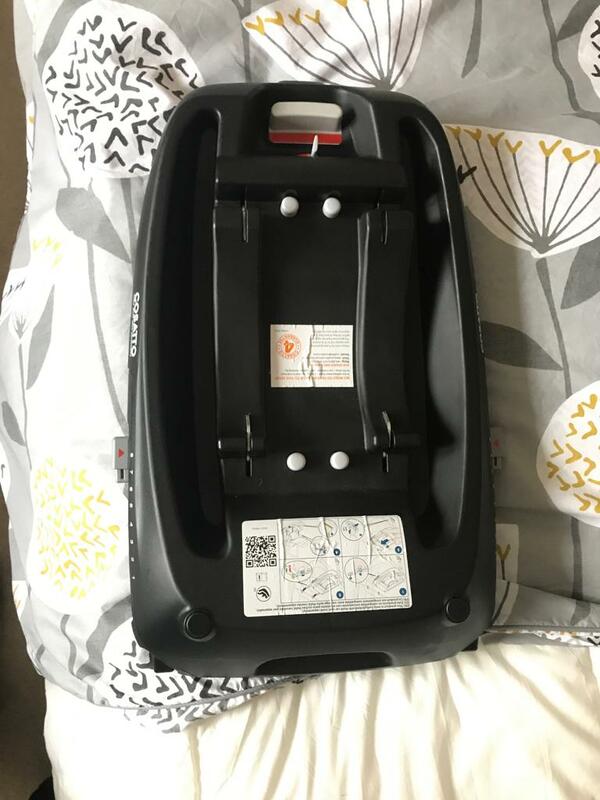 My and my partner made the decision to buy the Hold isofix base to make getting our Hold car seat quicker to get in and out of the car. The product is made of good quality materials and is packaged nicely. We found that installing the product was quite fiddly, getting the isofix anchors in place was actually easier in our Vaxhaul Astra without the yellow guides that come with the product. However, once the base was installed, we have no need to take it out of the car. The car seat base clicks easily onto and lifts smoothly off the base, and feels held much more securely in the car that installing with just the seatbelt. Our isofix base came with our cosatto wonder Hepburn set. We have 2 young children and a 2 door car, so it made getting the kids in quicker and easier. 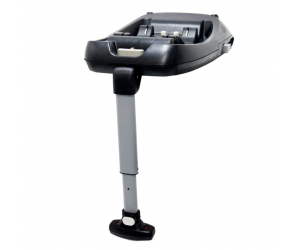 Had this isofix base for my cosatto hold car seat. Apart from being the safest method of fixing a car seat into the car it is also the easiest. One click of the car seat and it’s attached securely. Particularly helpful when it’s raining and you want to go quickly. Fits into the car easily and fits the seat easily. Green/red indicator to show whether the seat is fitted correctly. We're really happy we bought it as fitting the seat with the belt each time would be a hassle. 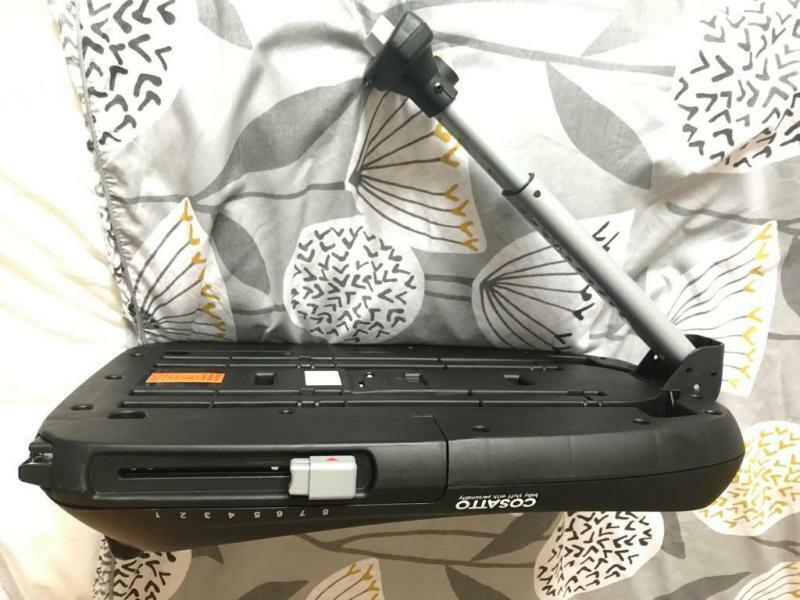 ISOFIX Base is an extremely well put together design, easy to insert without messing around with the seat belt, I have 3 other children and even they can get baby in and out. It’s nice and sturdy and comfortable for baby, sometimes with a seatbelt there was movement depending on corner but with the base there’s no movement whatsoever. Having a bad back I always worried about having to reach over and strap my child into the car. This isofix takes all that away, it has help us a lot. We have one in each car. Very easy to install and very easy to use. Cannot recommend getting list isofix enough. Should be a must on people's shopping list. Slim line and simple to use. Expensive and only for certain car seats. This is a lovely car seat base. I felt it was sturdy and easy to use. Its for only certain car seats, but most are so this is just the way of car seats! It is easy to fix into car, comes with handy guides to put in your car too. Delivered in 1 piece. Not too heavy either. - easy to use and attached to the car- sturdy - has adapter if you need it. - bottom to take put and take out a seat works hard at the beggining. In general very good and sturdy base for cosatto seat. Car seat is very well attached to the base what makes safe and confi journey. I love this product and couldn't live without it. It's one of the best bits of kit ever. So simple just to clip the car seat in and out in seconds. Baby stays asleep when getting the seat in and out too. Very easy to fit and to use rather than Baumgartner method, able to use one hand to get the car seat off the base. Simple design and easy to know if fitted correctly due to traffic light system too. Cosatto's Hold ISOFIX car seat base enables you to get your little passenger in and out of your vehicle more easily. Compatible with the Cosatto Hold Group 0+ car seat with semi-universal fit, it attaches to the base with a simple one-clip attachment.